What CRM Technology Trends will Take Over in 2018? Technologies and social trends are evolving, inevitably impacting all industries including software development. Staying abreast of such changes is crucial to remaining competitive in a constantly shifting business landscape. In this article, we talk about the biggest technology trends that will influence CRM software development in the near future. A social CRM integrates social media channels into the customer relationship management (CRM) system. A recent survey of consumer behavior conducted by J.D. Power shows that 67 percent of consumers interact with businesses’ social media accounts. A social CRM uses social media services, techniques, and technology to allow businesses to engage with their customers. This includes everything from social monitoring to social media automation. A social CRM allows brands to work more closely with their customers and provides better insight into customer behavior and buying patterns. In 2008, Comcast was one of the first companies to use Twitter to interact with their customers and improve the customer support experience. Comcast actually had several customer service employees on Twitter finding complaints and addressing them. Comcast CEO Brian Roberts noted at the time that what they saw on Twitter was an entirely different kind of dialog than the usual phone complaints. Comcast is a great example of a large company using Twitter in a meaningful way. What benefits can you get from a social CRM? A social CRM is a CRM market trend that allows companies to optimize their social media power and be closer to their customers. Another CRM trend is improving CRM systems through tighter integration with external tools and services. 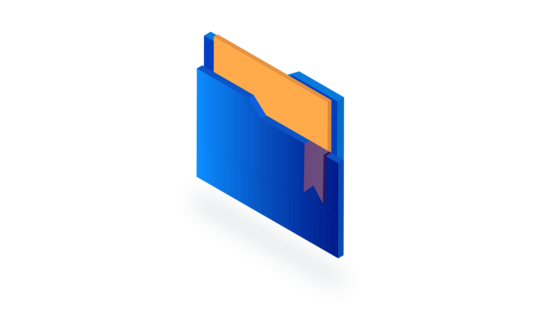 As long as business app companies and CRM vendors are separate legal entities, there’s a need for third-party integrations. Take Microsoft Dynamics 365 and LinkedIn Sales Navigator, for example. Although they belong to the same company, these systems are entirely separate products. 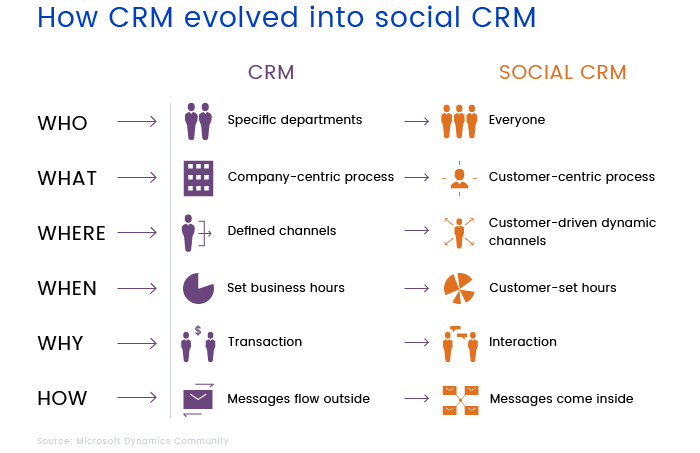 When integrated, however, these systems make a CRM more powerful. 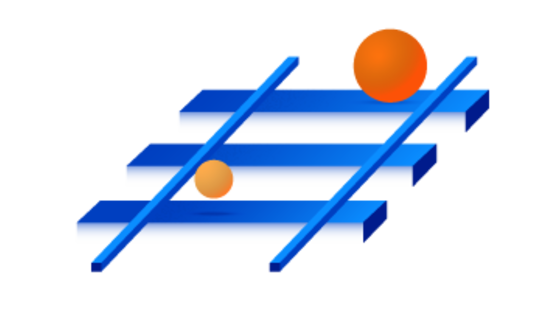 In essence, every customer has their own unique needs, most of which can be met using third-party apps. And the inconvenience of switching from platform to platform leads to increased customer demand for integration between CRMs and third-party tools that meet those needs. More and more industries are experimenting with integrating Augmented Reality (AR), and the CRM industry is no exception. Recently, Cobalt built an augmented reality app that integrates with a CRM. This app is designed for a use case in which a maintenance worker repairs an MRI machine. The worker can point the camera of a mobile device at an MRI machine and the app will show all relevant data about the machine directly from the CRM. This information can include when the machine was purchased and when it was last serviced. As the worker finishes repairing the machine, they can enter new data in the app and then this information feeds back into the CRM. Some companies use augmented reality technology for advertisements, promotional campaigns, and overall user engagement. AR can conceivably be used for training purposes as well. You should definitely pay attention to this latest trend in CRM systems. Today, customers are becoming more multimodal in their communications with brands. They hop from one marketing channel to another as it suits them when they’re curious about a product or want to solve some problem. Experts at McKinsey and Co. state that merely initiating touch points across multiple channels isn’t enough. Today, the consistency of the customer experience is as essential as the breadth of engagement. Customers demand that brands be responsive across different channels and at the same time provide a consistent, high-quality customer experience across all touchpoints. Such popular companies as Disney succeed in managing the entire customer experience across many channels using a CRM system as the platform for their omnichannel approach. Modern CRM systems unify many channels, including social campaigns, sales calls, mobile marketing, and others. You should take into account this new CRM technology trend to improve the customer experience and move with the times. According to Inc.com, 42 percent of customers prefer live chat because they don’t have to wait on hold. And the percentage of people who prefer live chat is likely to increase as AI features become more prevalent. Chatbots can recognize voice commands and accelerate the search for information or connect CRMs and social media. In 2018, businesses are looking for voice-driven conversational interfaces like Siri and Alexa. 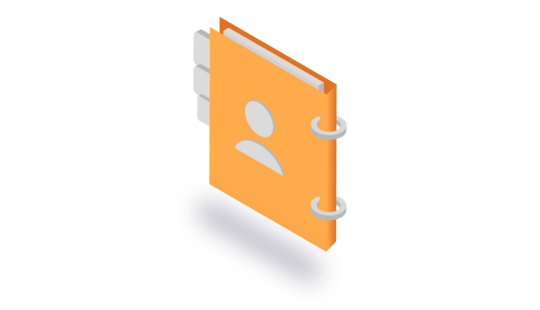 A virtual assistant in a CRM can help to improve data entry and set-up activities and provide recommendations on the best ways to interact with customers. For example, chatbots can provide key information about a company such as hours of operation and contact information. This allows employees to solve more complex customer issues that require human involvement. An AI helps CRM users complete repetitive, predictable tasks — or take over those tasks completely — and interacts with customers autonomously to add value. So don’t miss the chance to speed up daily tasks through the active use of AI chatbots. As more and more people use mobile devices, mobile CRMs is one more trend to watch for in 2018. Mobile CRMs like Zoho enable remote employees to use mobile devices to access customer data and customer accounts wherever they are. A mobile CRM provides a lot of benefits. For example, it can let sales teams attend client meetings with real-time client data at the ready. Mobility also strengthens communication and integration within departments. With a mobile CRM, employees can more easily communicate with colleagues at the office and send documents and messages like they can with Salesforce Chatter and Microsoft Yammer. With mobility, CRM solutions are able to creatу a seamless, cohesive customer experience across multiple screens and devices. Mobility will be a major driver for CRM developers in 2018. In an increasingly automated future, CRM systems will give a bigger role to artificial intelligence. AI can help to market the right product to the right customer at the right time. This is why the most important players in the CRM industry offer AI features among their services. Just take a look at how Salesforce is looking to the future with artificial intelligence. Simple AI capabilities within CRM systems can optimize many sales processes, for example gathering customer data and seeing which customers are most likely to respond to offers and promotions. In addition, AI can identify and predict patterns of customer behavior. Artificial intelligence will develop in parallel with user interactions, using various touch points within a CRM and evolving continuously to deliver more intelligent and personalized actions. Many advances in CRM technology are happening in 2018. AI, AR, and omnichannel interactions will play an important role in CRMs. It’s an intriguing transformation worth keeping a close eye on. Keeping up with the trends in customer relationship management is vital to being fully prepared to evolve with the times and remain competitive in your sphere. If you want to know more about CRMs, subscribe to our blog and stay updated. 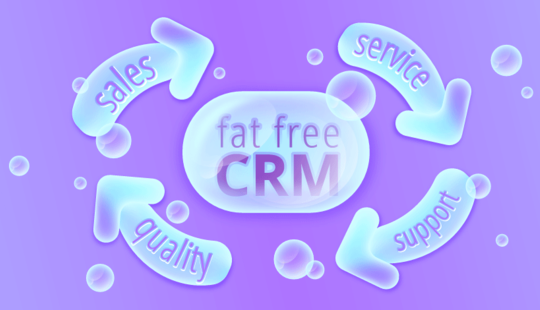 What Benefits Can a CRM Bring to Your Business?